Things have changed around here, hair-wise. I started life as a towhead, darkened to brunette, had a brief thing with eggplant Cellophane and was a committed redhead for 25 years. "Natural" was a dim memory circa my disco days, which I don't remember fully either. The primary reason was curiosity: what's under there? I figured, Why not see, and if I don't like it, back to red—though I was finding the upkeep wearisome. This release from an ultimatum was important psychologically. My children were rather negative ("Maman, no offense but you are going to look older", a son told me.) Le Duc was entirely positive, maybe because he got there first. And, I was snookered by Vivienne Westwood. 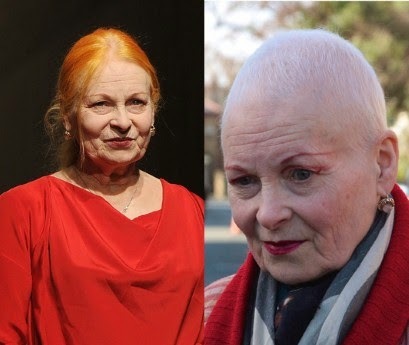 I always said, I'll give up red when Dame Vivienne does, and damned if in spring of 2014 the woman didn't shave her head (to draw awareness of global climate change, she said) and go grey. When first shorn, she looked like a Buddhist nun—hardly encouraging, but I had to fish or cut bait. Then, a French girlfriend visited in July. I thought this consummate Parisienne would never be anything but a caramel brunette, and hel-lo, she had about five inches of grey grown in, dictated by her hairstylist, who now refuses to colour or perm clients. Anticipating bad hair months, I chose August 1 to stop colour. My stylist was warmly supportive but realistic: "Gonna look worse before it looks better, but 4 or 5 cuts and it'll be great." Here, after that first cut at the end of August, patchy grey shows at the temples. The first two months was the tough stretch because it looked like I'd neglected the roots. I went up and down by the hour; thank god we were in mojito season. Several girlfriends were, shall we say, not encouraging. One suggested I buy a wig; I gave her a mojito too. By October, any vacillation had passed and it was clear what I was doing. A number of women (even strangers in line at the pharmacy) told me they were preparing themselves for their transition. My neighbour Joyce began around the same time. She wears a chin-length bob with straight bangs. Joyce first grew out only the bangs, keeping the sides coloured and letting that area grow long enough to pull back in a low ponytail. Now, she is growing out everything else, so not colouring at all. She will return to her bob when everything's grey. On Dec. 1, my stylist beaned me to prune away nearly all of the red. There were but wisps of colour left on some ends: I was essentially grey. Several neighbours walked past without recognition. Susan, a friend of 40 years (medium golden blonde with highlights) visited; we met at the MAC counter at Ogilvy. My pinky-brown lipsticks looked washed-out; the makeup artist, Kim (blue-black), recommended several deeper shades, including Pro Longwear "Perennial Rose". I still don't wear foundation but now add blush after my usual whoosh of translucent powder. Susan gave me a graceful silver ring to celebrate our long friendship (I guess the grey reminds her how long); Le Duc was wholly admiring, and my boys said they didn't think they would like it, but do. 1. This is the time to reassess the total package. I'm glad I had already lost weight, because I would not have felt so ready—though I've noticed all sizes of grey-haired women who look fantastic. Seems to be a matter of attitude. There is a lot of bad advice about what clothing and accessory colours look good with grey hair, such as "avoid grey", which is not true if you wore it before. Jewel tones are touted as your best friend; I dislike jewel tones, except in jewels. Which reminds me: jewelry is essential. Without it, I feel just too practical. A bit of sparkle or texture in accessories helps, too. Defined eyebrows are important. Mine are still brown, and I will have them coloured if they turn invisible. 2. If grey is your path, summon your equanimity: you are outing yourself as woman of years. I'm now being offered a seat on the subway; with red hair, I had to be on crutches before anyone shifted. Two girlfriends (brunette with tonal highlights; grey) called the effect "distinguished" (at different times). Robert Young as Marcus Welby was distinguished; this is not what a woman hopes for! I figure the term is code for "looks older, but for older, OK". Other persons hold various opinions, and, just like a vegetarian at a dinner party, they'll tell you. I understand why I kept the colour as long as I did, but then, the day came. "At a certain point", I told Susan, "we don't look youthful with hair colour; we look like an older woman with a head full of dye." For one, that point comes at 40-something, for another, not till she's laid out. The salon owner's 90 year old mother comes in every two weeks to maintain her glossy brunette, while two late-thirties women in my French class are completely and cooly grey. 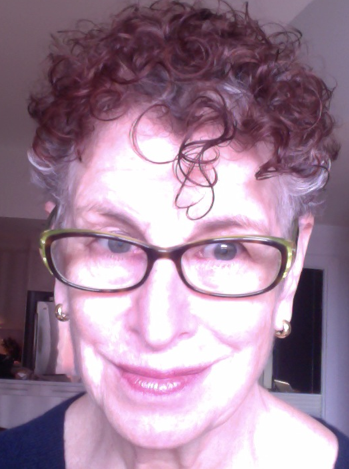 For me, hair colour was a fun ride while it lasted—over 30 years—and now, on to the next phase! You look charming, and beautiful! You look marvelous. After a horrible dye job, I went with very short hair plus grey two years ago, and love how it looks. I agree that taking care with makeup and accessories helps the oomph! factor. Welcome to the sisterhood! I think you look fantastic! I'm still loving my blonde color (which frankly was intended as an intermediary step to growing out grey eventually) and am waiting for the "silver" to take over the majority of strands (still have some darker mousy stuff on the top and back) before I take the plunge. I noticed your new photo last week and thought how your grey hair suited you. I have been very happy with my grey curls. I do get the seat on the Canada Line now. Natural hair is so much healthier! (Un)fortunately, I have a very young looking mother and I may have blurred the generational line. Congratulations! You look great, and comfortable with the change. 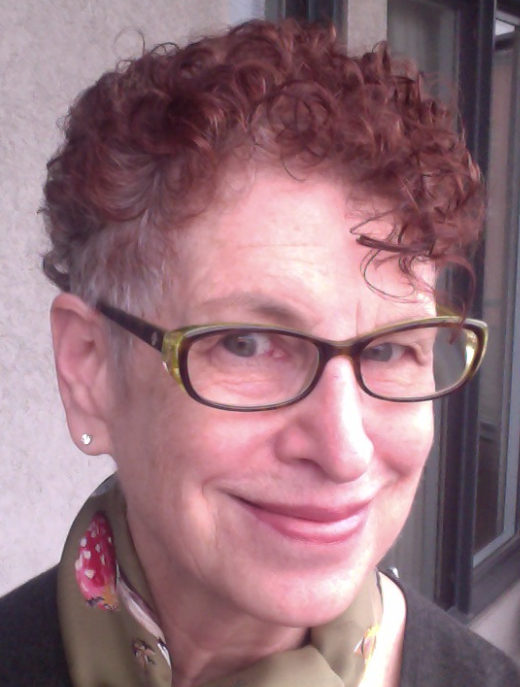 Thanks for your journal of turning gray, especially when you note that at some point we no longer look youthful, but "like an older woman with a head full of dye." A thought like that turned me towards gray a year ago, and it hasn't been bad at all. Definitely agree with you about defined eyebrows. I do understand why some keep on coloring. The side effects -- bus seats, discomfort with strangers seeing only the gray, maybe memories of our grandmothers in very different lives? -- can be uncomfortable. But gray is so easy! Carry on! You look great! And I love your chronicle of the change and your avoidance or moralizing over the issue. I'm not there yet but it's probably in the next few years for me -- especially since there is likely to be more extended travel in the first retirement years and it's tough to maintain a colour schedule in those conditions. First, I want to say that I am very surprised. I truly thought you would stay a red head forever! You do look very comfortable with your decision and happy. I think the thought that you may look older is just an illusion. I will be so curious to see if you opt for a slightly longer style later. My hair is about 40% gray/white now. I'm not covering the white parts, but still getting highlights on the rest to blend with the white. At some point (maybe next year) I will stop the highlights. I really like your new look. I don't like moralizing on this topic, but feel drawn to saying that you look more authentic now. I like the look! I was a very dark brunette, but finally got tired of the very gray roots showing only two weeks after coloring. That plus two very distinguished silver-haired women - my maternal aunt, and my French mother-in-law - gave me the push I needed 10 years ago to just let nature take its course. My mother, sisters, and many friends were frankly horrified, but I've always had a rather classic clothing style, and the hair just FIT with my look. I have no problem not looking "young," as long as I look good! 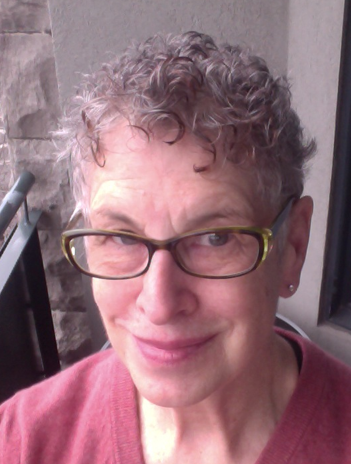 Now at 53, I'm not militant about color/no color - to each his own - but I'm very happy with my own gray, and even happier that it just gets prettier with age (fewer dark strands, more silver). Plus I've added gray to my mainly black/blue wardrobe, and transitioned from yellow gold to white gold/silver jewelry, and it has made all the difference. It IS a statement, but one to be proud of, I'm thinking! Good for you! You look great. I went gray or in my case white, almost 5 years ago. I cut my hair short, scheduled monthly haircuts and bought a hat. I have never regretted it for a minute and people tell me I look younger; total strangers tell me how fabulous my hair is. I had gone gray early and been coloring my hair since my mid 20's. It was time. I love my hair! I think you look very elegant. Your hair used to be your dominant feature, now it is your eyes. Forgot to say (sorry!) that I do like your "new" hair very much. I agree that now your eyes are the focus. Brava! Wow, your new look/photo is lovely. You look lighter and somehow rather electric. And that necklace brings out your eyes wonderfully. Loved to read your story which brought back the memories of my own transition 4 years ago. Because of the lack of daylight I stopped those awful dyejobs in December and really never looked back. Now my hair is long again with a lot of silver streaks in it and I often get asked, if it's dyed this way. And grey hair makes your eyes pop. I struggled a bit with the right colors to wear. Jewel colors are good on colour type "winter" and can be very harsh on other color types. And I agree, grey is great with gray if you always wore it. You just have to find the right one and without yellow undertones. The same with lipsticks, you have to cool them down a bit. I always used blush, otherwise I look sick. For me it's funny to watch more and more men who dye their hair. Always turns red and looks simply ridicolous. Your look is so modern, contemporary and soft, love it! I have always wished that I let my hair go grey when I was in my 30's. I had very dark hair and a large swath of grey near the hairline. I loved it! But I listened to my mother who hated it and had it colored. Thirty five years later and how many thousands of dollars later, I am an aging blonde. My ultimate goal is to hand on until 70--or maybe not. You look lovely and the makeup is flattering as all get-out. I wear grey a lot now and rarely did before but it actually accentuates and compliments my grey hair. Thank you for sharing this process...it may inspire others to follow in your footsteps! You look fine, my sister-in-law looks fine. Everyone woman in my family that went gray looked horrid. We do not gray well. Splotchy, bad texture and extremely aging. Though I may try it when I retire and it no longer matters if I look younger, the people in my business are very judgmental of older folks. Anon@ 8:07: There are so many reasons for wearing one's natural colour. So far, so good but I do have friends and acquaintances who tried it and went back to something other than grey. Pseu: You have a fantastic colourist who I am sure can take you there when and if you want. mme: LOL! My mother wanted to be grey at around 40 (when she first started turning) but my father requested that she not be. Sometimes the other's influence is very strong. materfamilias: What a delightful reason for eschewing colour. I have a friend who went around the world for a year, stopped the colour for the voyage and returned grey. Susan: I'll let it grow to the length in the first photo, which means longer on top only. I'm a short-hair person, have been since maybe 26. Vivian: Wonderful! BTW I still wear yellow gold jewelry (as well as white metals). It's not a colour, it's just gold. Nancy K: And it is! You have the 'white meringue' I've always loved. Sharon: Yes, I did lose a very dominant feature, which I thought I'd really dislike, but it's OK. Scarves help. Swissy: I have a friend around that age who has about 4 colours of fine highlights in her grey hair. It looks marvelous. It's expensive but it's her indulgence. Some women get that naturally but it can be acquired! LauraH: I am sure we could get up to trouble jewelery shopping in TO! Barbara: I'm a classic winter (and have the little wallet of swatches to prove it) but I intensely dislike those jewel tones, they feel harsh on me and also unsubtle. (But I find grey interesting, go figure.) I was relieved to see my winter hues of navy, mid-grey, black and some pinks and purples still work. You are right, anything with yellow tones is awful on me, as is ivory. Kristien62: I had thought at least 70 too (Vivien Westwood has 7 years on me so I was thinking of that window.) But a little voice said "now". hostess: Yes, I notice you do and it looks wonderful! fmcg: As I said, it's the total package: clothes, accessories, makeup. And maybe a few highlights to take away splotches. Not saying it should be done, but could be. Truly did not cross my mind while I was working, and already the oldest person in several places, especially in the tech sector. I commented after your last post how radiant you look. Your story of going grey is inspiring. As I noted in my previous post, I am now in the process of loosing the blonde for my own light silver. I hesitated for a long time (I've been grey under various colours since age 37). Also my partner (male) is 18 yrs younger. (HIS grey has that "distinguished" look). He's happy as long as I'm happy with my transition. And, I have seen so many women lately with stunning grey hair, that the time just felt right for me to join them! We greys shall all be stunning together. I think the color becomes you. It's a personal choice, but I'm happy to see that more women are choosing to go natural. I stopped putting blond highlights in my light brown hair 30 years ago when I got pregnant. When I was done with child-bearing, I never resumed it. Too much bother? Maybe. Too costly? That, too. I had other things I had to spend money on, like childcare and diapers. At 61, I still have mostly brown hair but I can see a few grays are coming in now. My dad still isn't completely gray at 93 so maybe the process will be gradual for me, too. Weirdly, my dark brown eyebrows and eyelashes are turning white at a faster pace than the rest of my hair. I guess I'll have to buy some mascara eventually. Love it on you-- you are chic, very pretty, and dignified. I never imagined you going grey. On some people, the "older woman with coloured hair" suits them; thinking of Westwood, or Juliette Greco. I have a dark-grey eyebrow pencil from Marcelle, "Graphite". My brows are definitely not invisible, but the few white hairs look bristly against the black. Not nice. I'm glad I did it overall, though I hate the métro seat stuff and it is frightening in terms of work. I just couldn't stand coating my hair with gunk every month any more. I had my first grey hairs at 16... Runs in my maternal family. Looks terrific. And I agree with others re: your eyes--lovely! I think this is a triumph. To my (European) eye the grey looks feminine, chic and sophisticated. My only suggestion is that your more delicate colouring might suit a less substantial eye glasses frame; but that is just my personal taste and others may well disagree. Would I colour my hair if it started to go grey? No - life's too short to spend that much time on your hair, and grey with an attitude always looks fiercely good to my mind. Lynne: 18 years younger! I cannot resist a smile. Wendelah: Mascara is many women's "desert island" cosmetic, and the (relatively) new flight, clump-free formulas look much more natural. lagatta: Westwood said she stopped both b/c of climate change and because she saw no shame in looking her age. I have that same pencil which I use as eyeliner; such a pretty, soft colour. Jean S: Some women keep their natural colour very long, but your mother is remarkable. Jane: I agree and am shopping for new glasses come spring. I'll have to figure out the colour and shape. The thing with hair colour is, it sneaks up on you. I started with temporary rinses in my early 30s, and then just kept going. I made the same decision this summer. Since My color was medium brown, my hair dresser started to lighten the color we used on the roots. Then In October she cute my hair shorter, then put on a highlighting cap and pulled quite a bit of hair through. She stripped the color form it and then put on a grey rinse, I love it and has my roots are growing out it has turned silver. I love it. I love your curls and I think you look great! Bravo! I did the same thing maybe 20 years ago. Had to fight everyone but my husband. I loved the softness the grey conferred on my face. I Used to wear my hair very short and cool looking. But now that I'm in my 70's I'm wearing it longer so it's softer around my face and I can still get an attitude going. I now wear more makeup so I don't just fade away. Of course in wearing more makeup I want it to be very light and look like I'm not wearing any. :-) But I do need to define my features. Have you watched the great YouTube video by Lisa Eldridge on aging women.PS. I love wearing charcoal grey! Love this post. I started growing out my colored hair 18 months ago. I have a bob, hate short hair, so it has been a longer process. To my great disappointment, in the 17 years I colored my hair it did not turn into something like Helen Mirren's beautiful locks. I'm still getting blonde highlights to blend in the older hair, and I'm still not certain what color it will be. DH isn't too happy, but he's lucky to have had me with colored hair until age 70. BTW, he's nearly bald. All the red and warm brown tones I once had are gone. As I turn gray-blonde I find I'm not happy wearing my old favorites. I love reading about others' journey to gray, especially when it has a happy ending. I too noticed the new picture, and I think your hair looks great. I have been thinking about going gray for a long time and the upcoming wedding of my son eliminates the last obstacle. 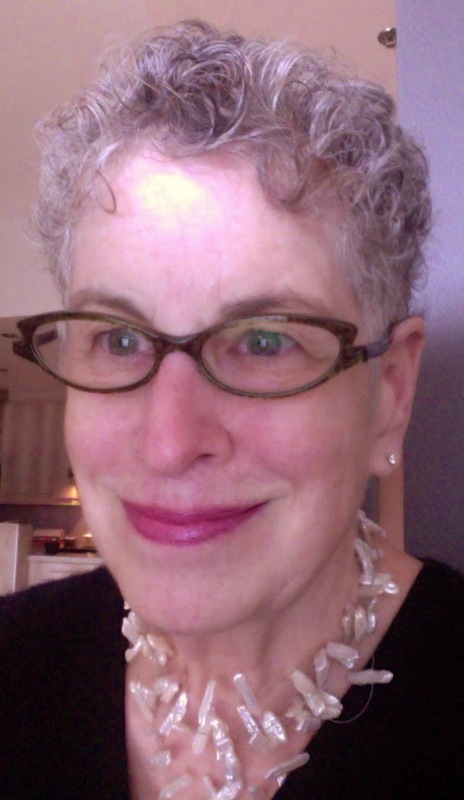 I am still young-looking enough, at 64, that I'm not yet sure; the biggest concern I have is that I don't look good in gray or white clothes, so I'm worried that gray/white hair will be unflattering. Maybe I'll do it when "une femme" does it, as we seem to have similar coloring. Duchesse, this is way off topic...I'm looking for jeans and noticed a reference to your "tried and true" Talbot's straight leg style. Would you mind identifying which ones you mean? I trust your judgement and experience. Wow!! Looks fabulous. Makes your eyes pop. Yes, before you look dyed. Welcome to the gang! I loved your red hair, it seemed totally you, and yet now, in gray, you're so elegant! That's what I mostly notice, the elegance. It looks fantastic. Marilyn Leslie: I have heard about this approach; hairdressers have found ways to buffer the demarcation, given a women has light enough hair to start. I also buy their Heritage ankle jeans and the Signature straight legs which are slightly lower at the waist. Heritage is the highest-rise cut. Nelson Bartley: Thank you. I still look in the mirror and expect to see my old self. Tiffany: I figured, Heck, retired, who cares how much time it takes? But that was not enjoyable whether in salon or at home b/c had to do it every 2 weeks. Many women leave off mascara when they wear glasses. Certainly sensitive skin is a reason to leave it off. LPC: It •was• me, and I thought it would always be me... this is quite a change! Thanks for the encouragement. Gorgeous! I love it. It's so, so chic. Elegant. Good for you. A friend of mine here who finally decided she was fed up with the upkeep said that her decision to go grey was a liberating experience. "It was like getting the Monopoly 'get out of jail card', " she told me. I'm looking forward to seeing it in in real time. Thanks so much for sharing the Talbots info even though I interrupted your post topic. Your new look really is lovely, it's a bit softer yet has a sparkle and glow - the hair colour and cut for sure, the jewellery, the glasses, the colour you're wearing? - or maybe the combination, I can't pin it down. Love the slightly shorter curls, you look free as a bird. I like it! You were authentic as a red-head and are just as beautiful now. Loved the phrase "older woman with a head full of dye"
I love your gray curls! I went gray probably ten years ago and would never go back to hair dye. Aside from the monthly application of chemicals, I also think there's something very honest about being happy about who you are. As to wearing gray, I wear a lot of charcoal gray and find it brings out the silver in my hair. I think silver jewelry is an elegant touch. And for you Duchess, the gray pearls should be particularly lovely. Tish: See you in April, if you are there! diverchic: You have known me through all my adult colours; hope to see you soon. Anon@3:48: Having a partner not wholly onboard would make the process harder! (How does he feel about mojitos?) That and a long growing out. I really like hair colour, but it's a different effect when you do it in mid-60s vs, say early 50s. the good enough mother: I kept the red for so long b/c it was kind of like red lipstick: not realistic but so much fun! I'm a conventional person, deep down, so I wanted the slightest smidge of transgression. Both silver and gold jewelry work and will take your comment as encouragement for more pearls; thank you! You have to be ready to take the big step but when it happens you wonder what all the fuss was about. Hair is all about "you" and it is a great feeling to feel free. Agree about the accessories. Have revamped some of my pearls after one of your posts. Great to hear about life overseas. I am in Western Australia. Definitely a good look. I think grey hair at a certain stage is more flattering to skin tone. Mine has been going grey for a very long time. The front is silver streaks and I still have peroxide highlights to blend in the darker mousy blonde at the back otherwise it looks strange. What a fun and interesting post. A friend from Café Gray pointed me toward it and I'm enjoying your blog...you have a marvelous sense of humor and an excellent way with words. 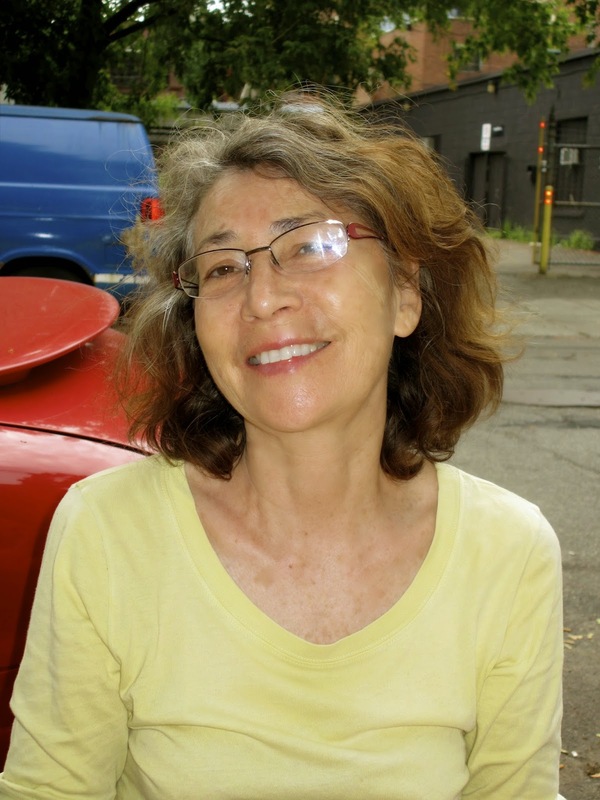 I'm also recently finished with a grow out....it has been an important transition and I am learning more about my attitudes at age 58. When you're ready, it feels right. You look lovely and very chic! Lesley: Completely agree re wondering what fuss was about... and if you ever want to send me a photo of your revamped pearls,I would love to see. Jo: Highlights for what you call "mousy blonde" work wonderfully, and I can see you have an excellent colourist. Anon@1:03: When I look at my 'red' photos I can see it was gradually edging harsher-looking, or maybe already there. Am still wearing a lot of black- an urban uniform here, for all ages and hair colours. A scarf makes a big difference. puppyfur: Welcome! "When you're ready, it feels right" is the perfect summary. I think what is important is if YOU like it (and your family.) Not seeing you IRL, I can only comment on the picture. I loved you as a redhead. Anon@3:39: What has surprised me is how many people say they like it- a few have said they do not. I too loved being a redhead, but rather like strapless sundresses, it is now time for me to admire on others! You look absolutely fantastic - congratulations on the transition! I'm in the midst of a blonde spree to blend in the grey and white with my dark. So far so good, but I keep a sharp ear out for any shift in the comments I get. For the moment it helps minimize the appearance of patchiness, but I can't wait for a more even grey under there. I think you look very becoming with grey hair. I don't know if I'll ever be so brave, as to forgo my highlights. In a nutshell: yes. Especially about good eyebrows and still wearing jewellery. Also, really great sunglasses help. There is a very fine line between good grey and complete cat-lady head. And - so right about head full of dye. 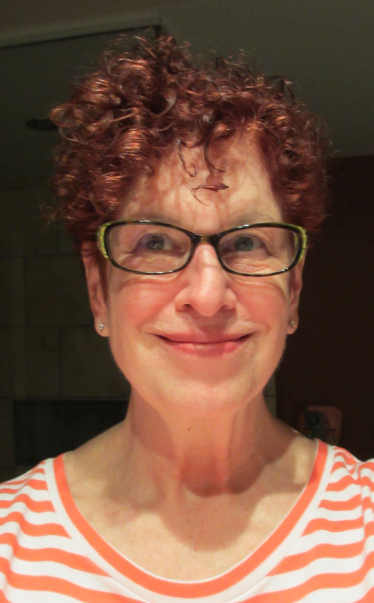 Women of more advanced years with obviously red-dyed hair think they signal: look at me! I'm wacky! Woo! Like I care! What everybody else thinks: crossing over the road to avoid the mad one.